Bricsys CEO Erik de Keyser kicked off the Bricsys International Conference 2012 in Amsterdam by giving a short presentation about the company, its beginnings and its evolution. The key point of his talk was the need for “careful differentiation”. Bricsys has come a long way from being a reseller of IntelliCAD to a company that has its own .DWG platform. The company is now pushing boundaries to get into the MCAD space with its direct modeling technology. 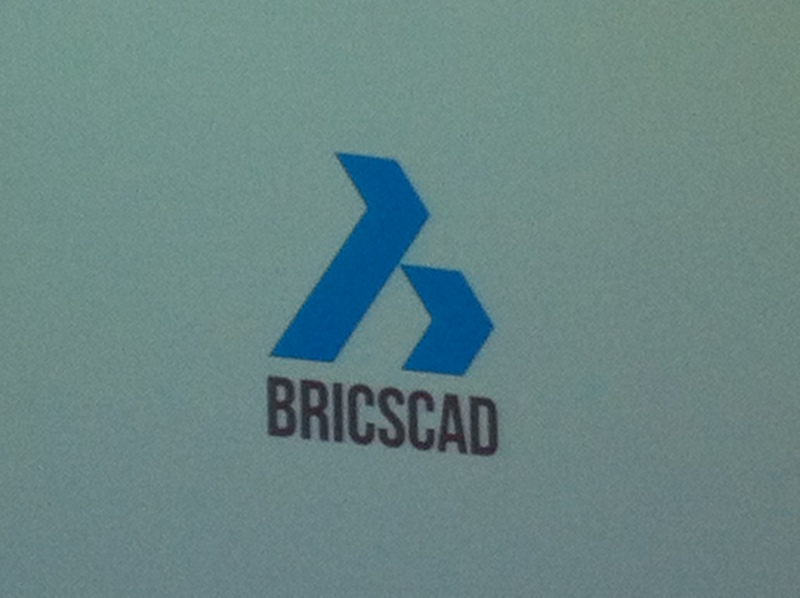 Later Luc de Batselier and Torsten Moses gave a presentation about the new API’s that have been added to Bricscad, which has been given a new logo. 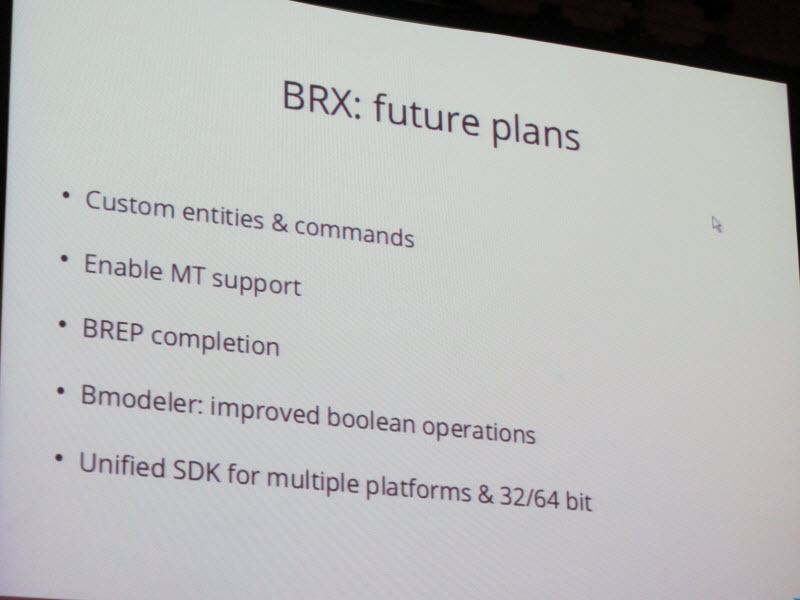 This slide shows the future plans for the BRX SDK. Next was a customer presentation from a UK based company called Savoy Computing. Mark Burgess and Mike Hutt spoke about the company’s flagship AutoTrack suite of products. AutoTrack is a fully customizable vehicle modeling software. Not the actual 3D modeling of vehicles. But rather the modeling of the intersections, roundabouts, loading bays, airports, etc. along which vehicles move. 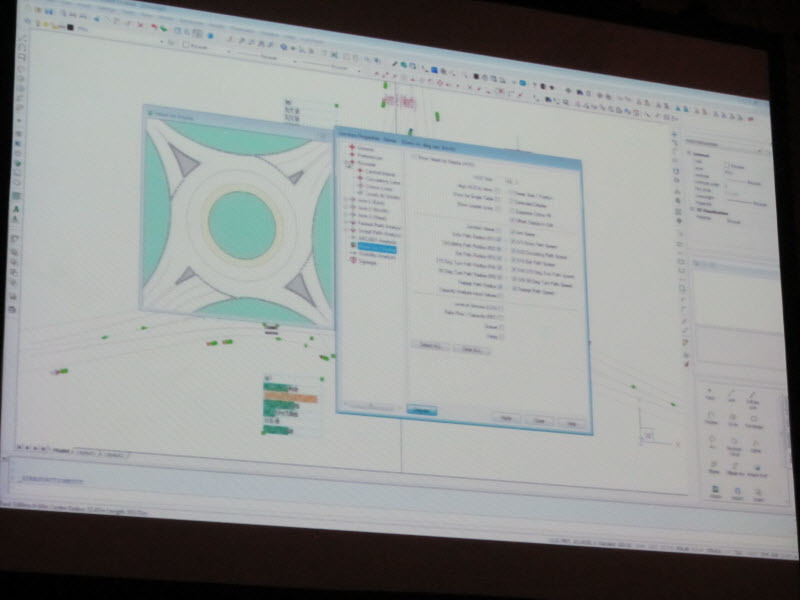 Here is a picture of an AutoTrack module called AutoTrack Junctions working inside Bricscad. This was followed by presentation by Roseberg, the developer of a Instrumentation and Control Solution called PRODOK. Their solution initially ran on AutoCAD. But in 2008 they started looking for an alternative mainly due to their inability to get Autodesk to tweak AutoCAD according to their specific needs. 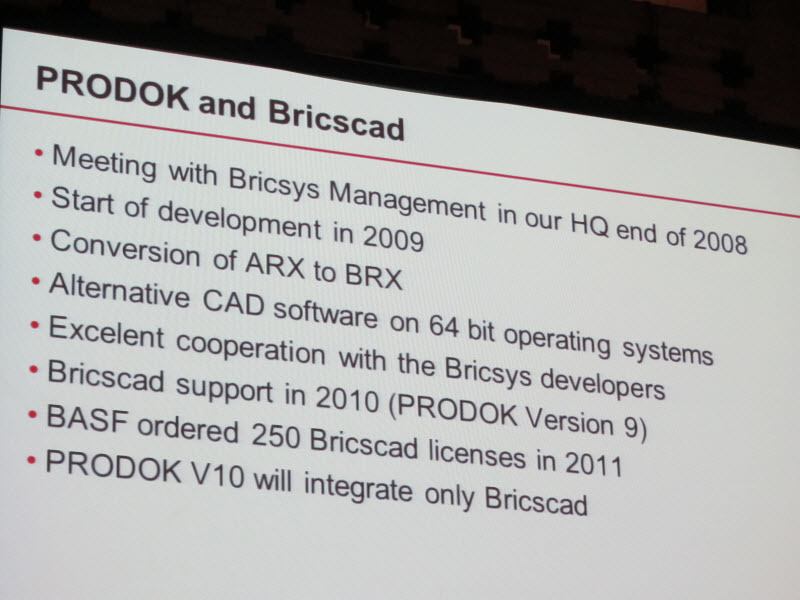 Their AutoCAD software was written in ObjectARX and the BRX SDK offered by Bricsys for precisely these kind of AutoCAD plug-in developers was just the thing they needed to port their ObjectARX code over to Bricscad. Now Roseberg has decided to drop support for AutoCAD and integrate with Bricscad only. This slide describes a BRX SDK success story. Another BRX success story was detailed in a presentation by VidCAD, a developer of an AutoCAD based audio visual layout solution. VidCAD were one of the first companies that had signed up for the AutoCAD OEM program through which they sold their solution along with AutoCAD. In 2008 VidCAD started having problems with the OEM program and began looking for an alternative. They looked at Bricscad and in 2009 the decision was made to move forward with an integration with Bricscad. They had initially estimated a development time of 4 to 6 months. But thanks to the closeness of the BRX SDK with Autodesk’s ObjectARX SDK the port was completed in 3 months flat. VidCAD now intends to shut down its AutoCAD OEM version within the next year.